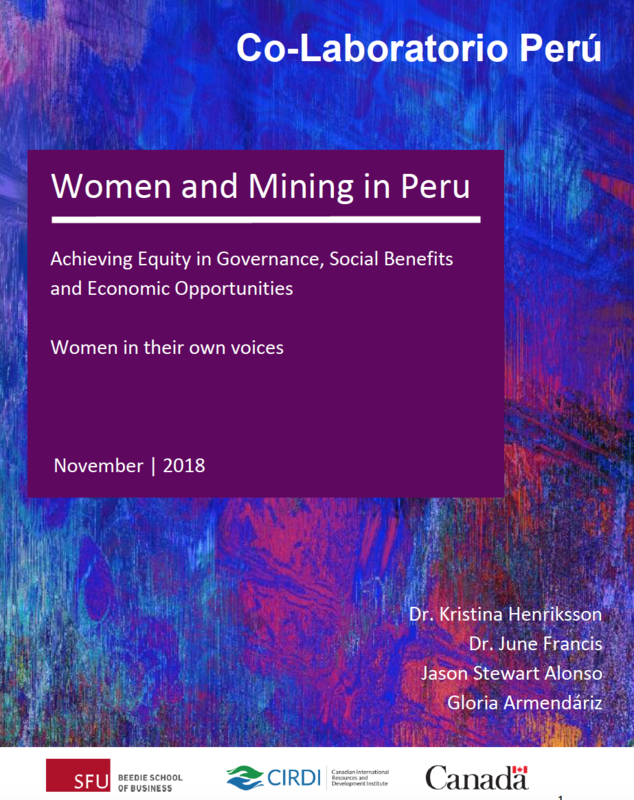 As part of the Co-laboratorio Perú (CoLab Peru) initiative – Women in Their Own Voices, this case documents women who have taken an active role to create gender equity and transformation in the context of Mining and the role played by Co-Lab to support these women in their efforts towards gender equity and inclusion. This case was written by Dr. Kristina Henriksson (Simon Fraser University), Dr. June Francis (Simon Fraser University), Jason Stewart Alonso (Simon Fraser University) and Gloria Armendáriz (RNLS & GDMDS). We thank the many women leaders who have shared their knowledge, time, wisdom and experiences with us, as they welcomed us into their lives. We also would like to offer this in memory of Jose Luis López Follegati of Grupo de Diálogo Minería y Desarrollo, and his tireless service in creating more collaboration and dialogue for inclusive development in Peru.